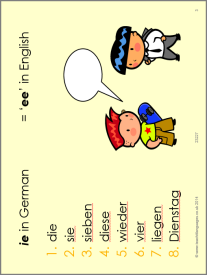 This PowerPoint brings together five different strategies for improving students' German pronunciation. These could be covered in one lesson or used as a series of starter activities over several lessons. Teaching notes are in the Word document. Lovely resource. Great for refreshing those who also have studied German for a year.